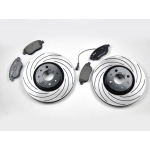 Need new performance rotors and pads for your ABARTH or 500T? Purchase the set and save. 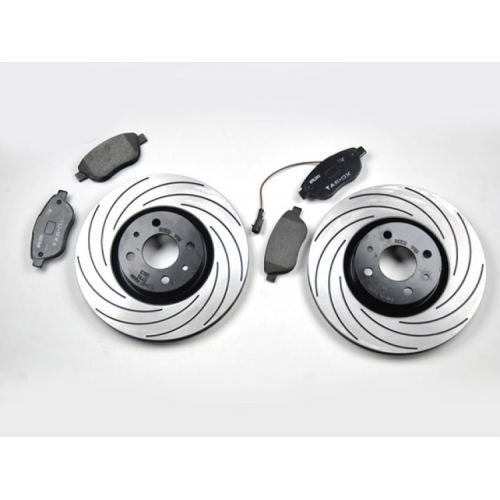 These rotors and pads are designed to fit the FIAT 500 ABARTH and the FIAT 500T. 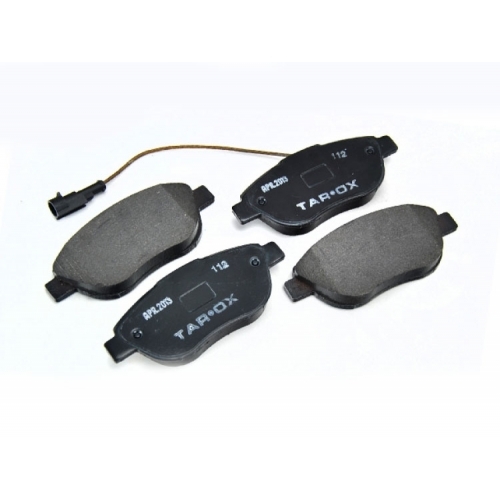 Please check our other listings for more Tarox brake upgrade options and packages. Established in Italy in 1976 Tarox has become one of the largest brake component manufacturers in the world. Their Brake Components are recongnized as some of the best available on the market. Since the early 1980s TAROX has been associated with absolute quality. Blank casts used for TAROX discs, after having passed stringent quality controls, are subjected to structural stress relieving heat treatment at the end of each machining phase as a result of more than 30 years experience. These brake pads are designed specifically for fast road use. Facing is performed on CNC turning machines. Another distinguishing feature of TAROX brake discs is their perfectly level surface machined to a tolerance approaching 0.015 mm, achieved during the final finishing of the braking surfaces on grinding machines; each disc is ground individually by specialised operator resulting in that distinctive shining look. Tarox F2000 Brake Discs are designed for those who alternate the use of the car on the road with serious sessions on the track. The curved grooves deglaze the pads and allow the disc to run cooler. The rotors are heat treated for strength. They are hand finished to ensure the smoothest possible braking surface. The brake pads will work virtually from cold but at the same time they offer a higher coefficient of friction for superior braking power. Unlike many uprated pads they offer a more progressive feel which allows the driver to have constant control over the braking effort of the vehicle. These Brake Pads are able to withstand temperatures of up to 600°C this pad has an optimum temperature range of 200°C to 300°C.